I think a lot of people get too caught up in preparing their truck for international travel. That’s not to say they shouldn’t be outfitting a vehicle, just maybe not THEIR vehicle. Apparently there is some notion that in order to travel the world you must buy, modify, and subsequently ship your truck to whatever location from which you wish to start your trip. The reality is however, that in today’s market the costs and logistics involved with shipping your vehicle overseas have made it somewhat impractical and outdated, unless you require something very specific. A better option is to simply purchase a rig that already resides in your destination country, and just start traveling. With the widespread use of the internet, this process has become easier than ever and can save you a lot of time, energy, and most importantly money. So now the only question is where to begin. 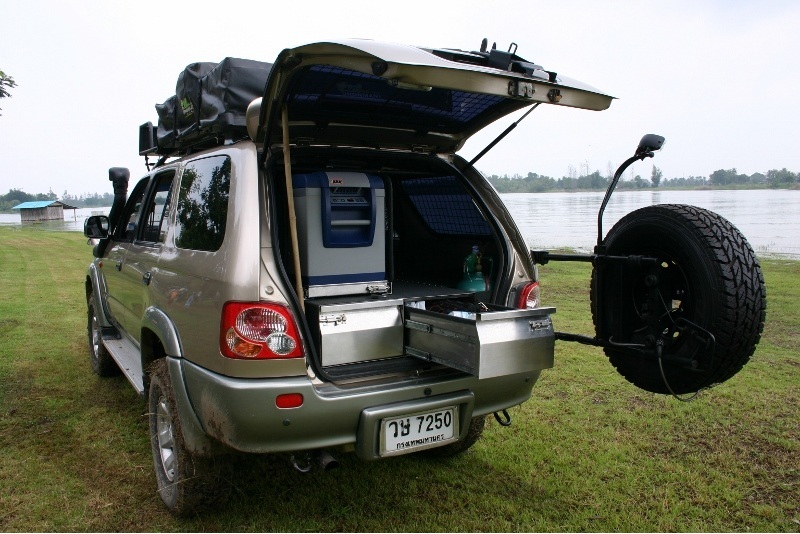 How about in the backcountry of Thailand with a diesel Toyota? 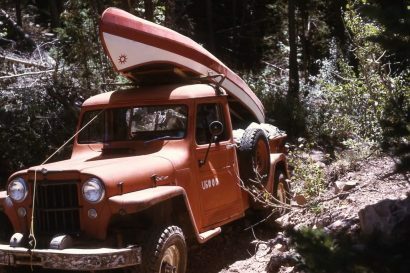 If that sounds appealing then this is the vehicle to see. It’s a thoroughly modified 2003 Sportrider, which is essentially a rebadged 4Runner or Hilux Surf that is assembled in Thailand. Under the hood you’ll find a 3.0 liter D4D engine that will produce 163 horsepower and 253 lb ft of torque while delivering the mileage of a diesel that we all love. 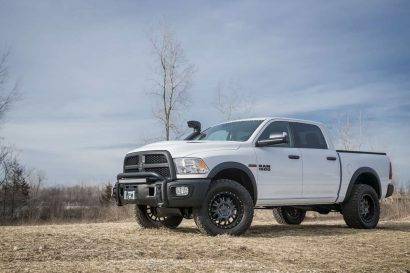 To increase the truck’s clearance off road, the owner installed a 2″ lift using heavy duty Sway-a-way torsion bars in the front and ARB leaf springs in the rear. 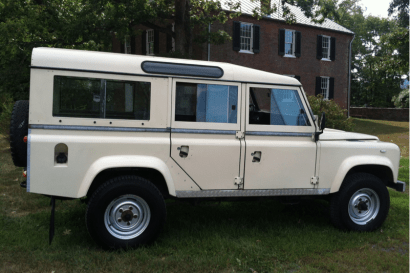 This suspension setup allows the vehicle to run a set of 31″ Bridgestone Dueler all terrains for additional traction and performance on the trail. It also features upgraded slotted disc brakes with stainless steel brakes lines for increased durability and braking power. As Thailand has a tropical climate with an annual monsoon season, this Sportrider has been equipped with a snorkel and front and rear differential breathers to aid in traversing water crossings safely without internal damage. 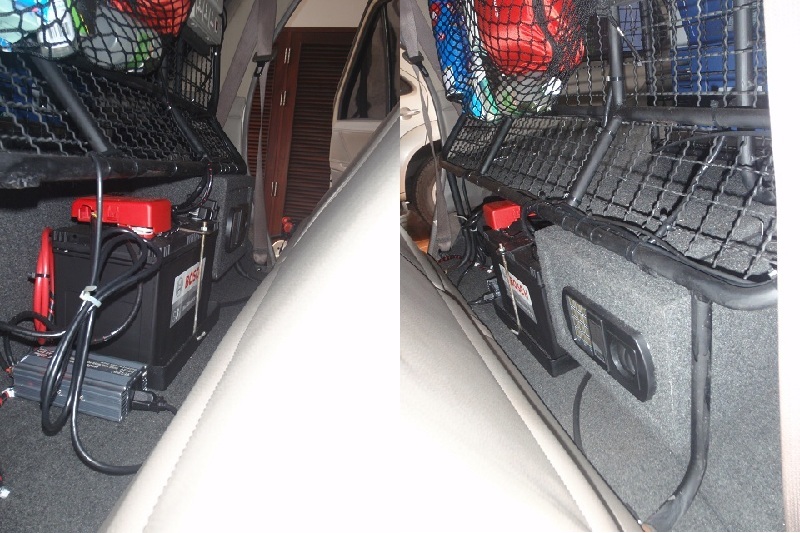 In terms of comfort and convenience on the road, this Toyota has received its fair share of additions. Mounted on top of a custom double drawer storage system is a 47 liter ARB fridge/freezer combination that ensures your food stays fresh and your beer stays frosty wherever your travels may lead you. To quench your thirst on those long trips and keep your water supply safe, an 80 liter water storage tank was then installed with an inspection hatch, gravity drain, and internal baffles. You’ll also find a National Luna dual battery system that runs the your auxiliary equipment and helps to crank the engine over on the coldest of starts. 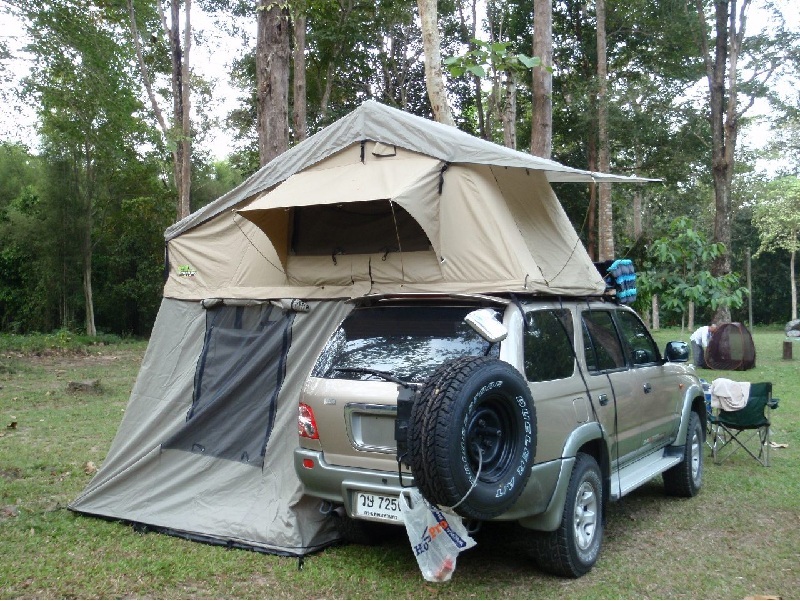 In terms of sleeping arrangements the owner installed an Iron-Man roof top tent with an attachable annex for comfortable off the ground camping when in less than ideal conditions. 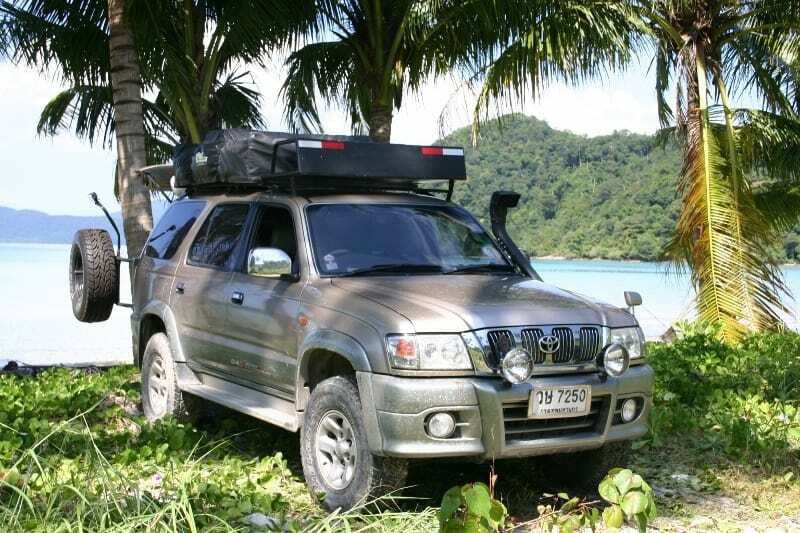 If you’re looking to start your next adventure, don’t miss the opportunity to do it in this beautiful Toyota Sportrider located in the even more beautiful country of Thailand. My beloved Sportrider is going up for sale as I will be moving on from Thailand in a few months time. It’s a 2003 Toyota Sportrider 3.0 D4D. It’s basically a Toyota Hilux Surf or 4 Runner that is assembled in Thailand. Electronic safe for passports etc. If you are interested please contact me on the forum or call +66 818 312 376. Thanks.